The growing complexity of Cyber-Physical Systems increasingly challenges existing methods and techniques. What is needed is a new generation of scalable tools for model-based learning, analysis, synthesis and optimization based on a mathematical sound foundation, that enables trade-offs between functional safety and quantitative performance. 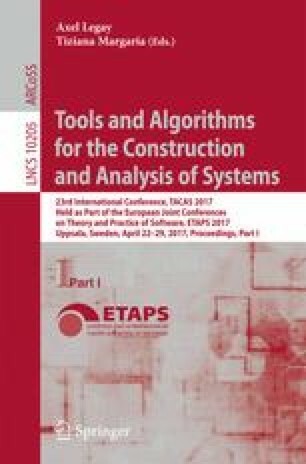 In paper we illustrate how recent branches of the Uppaal tool suit are making an effort in this direction. This work is partly funded by the ERC Advanced Grant LASSO: Learning, Analysis, SynthesiS and Optimization of Cyber-Physical Systems as well as the Innovation Center DiCyPS: Data-Intensive Cyber Physical Systems.